FrutArt. DVD. 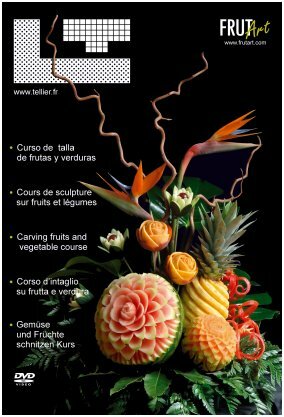 Fruit Carving Course. Vegetables Carving and garnish. For fairs and decoration.Classes, lessons, teaching, formation. Sculpture. FruitArt. Fruit Art. ¡Fruit Carving Course 2 DVD Pack!